References to 'we', 'us' and 'our' are references to Wilman & Lodge. Wilman & Lodge offer a full Estate Agency service. We also offer a full property service. All renovations, modernising, building and roofing and general maintenance requirements. 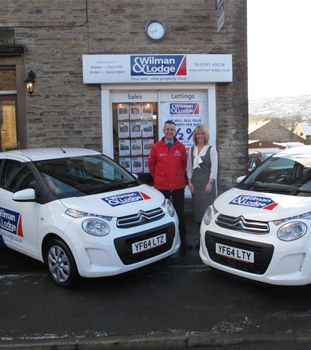 Established in 1978, Wilman and Lodge is one of the leading Estate Agents in Skipton and the surrounding area. We are very proud to introduce our new services which include: Residential lettings, management and property services, which include. We'd like to say a big THANKYOU to you and all your staff, for selling our property. In our case, Estate Agents do not have a bad name – we have found you very helpful and supportive throughtout.